Our Vision is to establish a life-giving church within walking distance of every person in the Western Province and to see all villages impacted by the Gospel and uplifted through a strong Christian Community. Thousands of people living in Western Zambia have no hope or any idea that we have a Savior called Jesus. They have no access to Bibles, and live without basic needs like clean water and medical care. There are thousands of orphans and 60% of children die before their fifth birthdays. Malnourishment is rife and life expectancy is 29 years. The people’s need is urgent, but it can be solved! With your help we start new churches and take the Gospel to where it is not yet known. 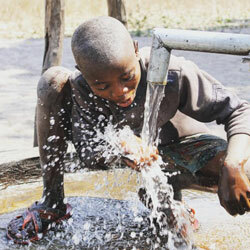 We also provide people with clean water, care for orphans, medical care and Bibles. 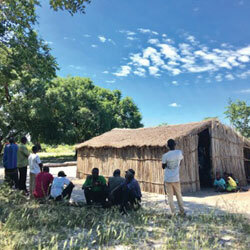 The Zambia Project is a church planting movement. 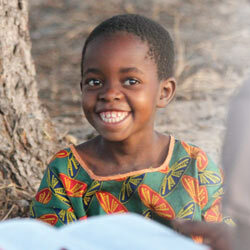 We believe that every village in Western Zambia deserves a life-giving church that uplifts its community. Many people living in the Western Province have never heard the name of Jesus. Our mandate is to take the Gospel wherever it has not been heard. We need 6 000 churches to see our vision come to pass. Giving hope and saving lives! For as little as $32/R260 per month as a co-sponsor, or $64/R520 as a sole sponsor, you can positively impact a child’s future, and experience the joys of seeing a young life develop. Through our orphan homes, homeless children are placed in loving Christian families. 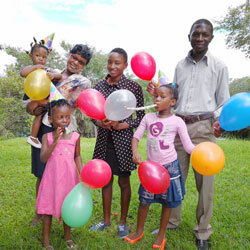 You can sponsor a homeless child in one of our orphan homes for US$96/R780.00 per month as sole sponsor or US$48/R390 per month as a co-sponsor. Severely malnourished children are admitted to the Save a Life centre where they receive the medical care and the food they need to fully recover. 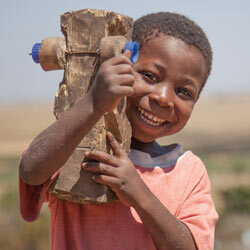 The monthly sponsorship amount to sponsor one of these children is US$75/R800.00 per month. 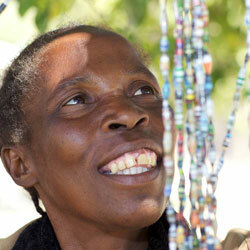 We feel beyond privileged that we get to lead The Zambia Project! It feels like just yesterday that God called us to pioneer and lead this life-giving church planting movement in April 2003. Find out more about our vision, mission and values.